Why did the powers that be decide to hold the Massachusetts state and federal primary election on Tuesday, Sept. 4? And how will that affect turnout? Ah, the day after Labor Day. The coffee-fueled scramble to kick into gear at work after a long holiday weekend. The frantic preparations to get kids ready for school. The wrenching heartache of leaving summer behind. And this year: An important primary election that will determine key races for Congress, governor, and the state Legislature. Why, pray tell, did the powers-that-be decide to hold the Massachusetts state and federal primary election on Tuesday, Sept. 4? And how will that affect turnout? There’s the official answer and the conspiratorial answer. First, the formal word from Secretary of State William F. Galvin: The day after Labor Day was the least worst option allowable by law. Massachusetts statute requires the primary to be held on the seventh Tuesday before the general election, which this year would have fallen on Sept. 18. But that happens to coincide with the beginning of the most important Jewish holiday, Yom Kippur, which begins that Tuesday evening. In such an instance, state law mandates the secretary of state choose a primary date “within 7 days of the second Tuesday in September” — that’s seven days before or after Sept. 11. Here’s another twist: Galvin said he couldn’t choose Tuesday, Sept. 11, itself because that is also a Jewish holiday, Rosh Hashanah. And the secretary, a Boston Democrat, said he did not want to choose Thursday, Sept. 6, the first day back to school for many children, including most Boston Public School students. Mondays and Wednesdays pose troubles of their own, his office said, with few voters associating those days with going to the polls, and there are a host of religious and cost-related reasons not to hold an election on a Friday, Saturday, or Sunday. He said after soliciting public input in December and January, he made the best decision he could. Still, on such a whirlwind day, will people slog to the polls? Won’t it affect turnout? “I don’t think it’s going to have a dramatic effect,” Galvin argued. He said the state held a special primary election the day after Labor Day for a vacant congressional seat after then-US Representative Martin T. Meehan resigned in 2007. “It really didn’t have any effect,” Galvin said. But voter advocates are less sanguine and worry about turnout on a day that will see competitive primary elections for governor, US Senate, US House, and the state Legislature. Mary Ann Ashton, president of the League of Women Voters of Massachusetts, said her group had encouraged Galvin to set the primary as late as possible and would have preferred one of the two Thursdays available to him, Sept. 6 or 13. “We still feel now that people are just not going to be paying attention at that time of year and it’s going to surprise people it’s here so quickly,” Ashton said of the day-after-Labor Day primary. She ticked through several reasons why people might be distracted by other aspects of their lives, including that many leases begin on Sept. 1. “I just think people have a lot else going on,” she said. There were nonpresidential Massachusetts primaries held on Thursdays in 2012 and 2016 — with turnouts of 12.4 percent and 8.8 percent, respectively, state data show. 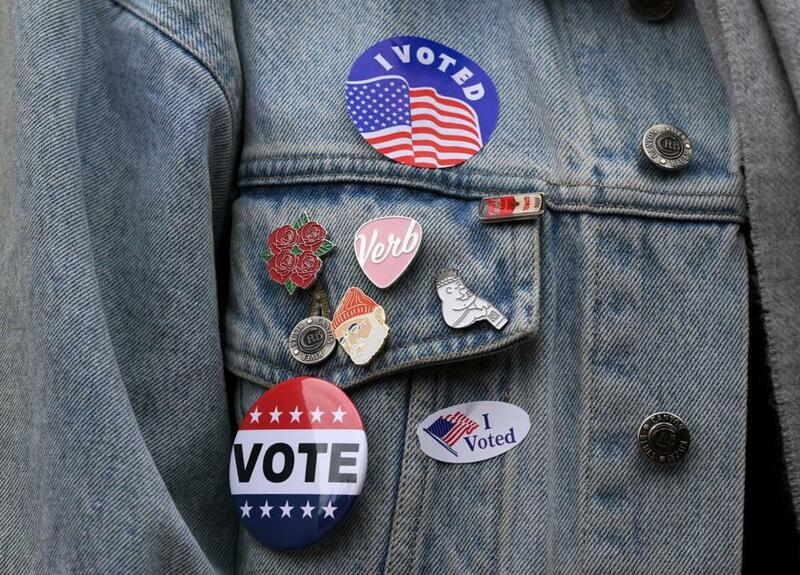 For reference, the primary held on Tuesday, Sept. 9, 2014, saw a turnout of 16.8 percent. So what about that conspiratorial reason why some of us might be trekking to the polls still in a daze from the holiday weekend? Galvin’s Democratic challenger, Boston City Councillor Josh Zakim, strongly hinted that the secretary of state chose the day after Labor Day in order to suppress turnout and help his own reelection bid. For his part, the GOP candidate for secretary of state, Anthony Amore, noted that the way dates align was foreseeable, and it would have been prudent for Galvin and the Legislature to have addressed the primary day conundrum long ago. Which is to say: Enjoy your Labor Day holiday soon — and don’t forget that the primary election is the next day, Sept. 4.